The Zach Morton logged hundreds of miles of runs while deployed more than 7,000 miles away from home when the idea for a business based on his love for running began. While in Iraq with the U.S. Navy SEAL team, Morton ran 660 miles over a six-month period and he and his friend developed the concept of a gym just for runners. Higher Ground Running, Oklahoma City’s first running gym that caters to beginner runners and serious athletes focused on shaving seconds off their best times, is the fruition of more than a decade of dreaming. The gym opened in October at 9644 N. May Ave. Morton and his team of fellow running enthusiasts, which includes past winners of the Oklahoma City Memorial Marathon, NCAA athletes and coaches, spent more than a year preparing to open the business. Morton and his family moved here after more than 15 years away specifically to focus on the gym. Morton and his team visited similar running facilities in New York and California. 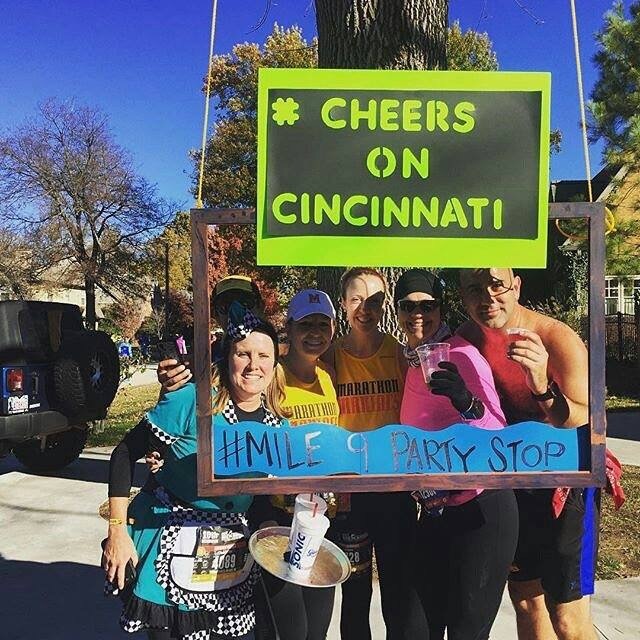 They networked via friends and through social media, offering free introductory classes to get their name and concept out into the running community. “If I was going to do this, I was going to do it right,” Morton said, explaining that the high-end treadmills have flat surfaces that minimize accidents caused by fast-moving belts and closely mimic outdoor trail running. Much like a spin class helps cyclists train and stay engaged with upbeat music, varying intensities and intervals, Higher Ground’s running group exercise classes are more intense and entertaining than a row of runners robotically jogging on treadmills. Some classes, such as The Hills, offer extreme resistance variations much like a run up and down hills while The Flatlands is less intense. Each participant runs at a pace set by the coaches and based on their level and goals. “The classes are a lot of fun, but they put the hurt on you,” said Shar El-Assi, who joined the gym when it opened after attending introductory running classes with the group at Bishop McGuinness High School’s track. El-Assi, a 45-year-old mental health care worker, ran track at his small high school in western Oklahoma and was part of the cross-country team at Oklahoma State University. In the last two years, he started running again to lose weight. 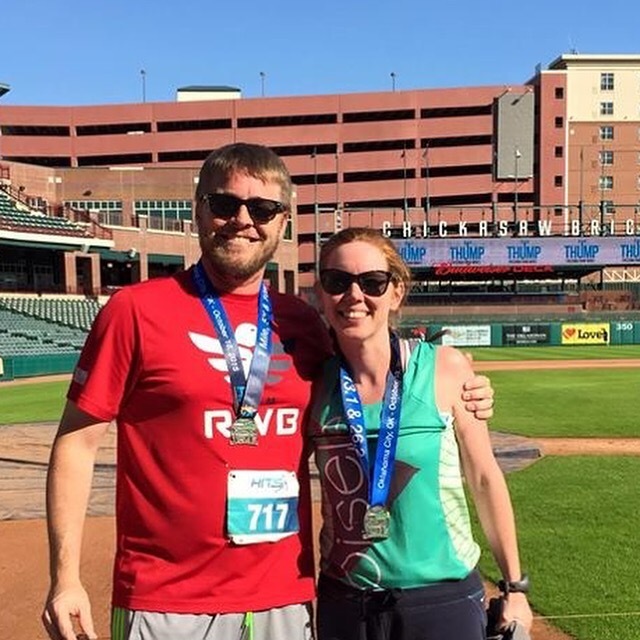 When he trained on his own, he lost 42 pounds and finished the Oklahoma City Memorial Marathon in 4 hours and 38 minutes. After taking speed classes at Higher Ground, he shaved 44 minutes off his time. At this year’s marathon in April, he hopes to finish in 3 hours and 40 minutes. Other runners at Higher Ground are also improving — two have cut their times down to qualify for The Boston Marathon. Morton said he’s also reaching his goal and helping other runners get better. The gym offers monthly memberships starting at $100, drop-in classes, personal coaching and marathon and half-marathon training. Hey Oklahomans! It’s now May and marathon month is over. Are you finding yourself wondering “what next” and looking for something your next big running adventure? If that so, Run Oklahoma has you covered. 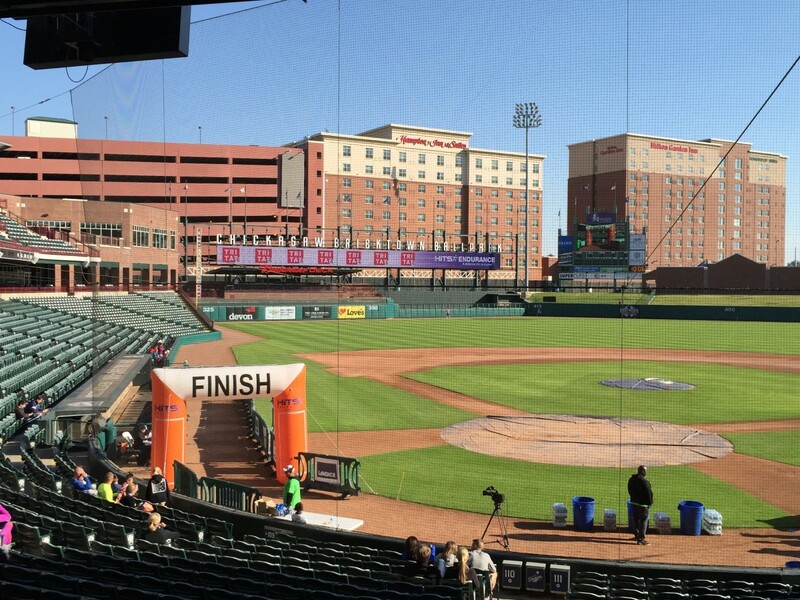 We’ve gathered a list of adventure races in Oklahoma and surrounding states to get you through the rest of the year. Difficulty: Moderate – tripping hazards (rocks, roots, stumps, and horses). Camp out the night before the race. Runners will navigate well marked trails up the rocky hills and down into the heavily wooded creek bottoms. The most of the wild horses will be moved to adjacent pastures but some of the horses are reluctant to move and will be on the race course. All of the horses will be visible to the runners so bring your camera. Proceeds of the event are dedicated to preserving the remarkable mustang. Also, there is plenty of free parking and camping spots available. Difficulty: Difficult – goes to the Summit of West Mountain, down the mountain and back up again. Highlighted by Runner’s World in 2015 as a bucket list event in the “Top 10 Races In or Near a National Park”, the Spa Running Festival is a family-friendly event that has a race for everyone ….. kids, walkers, beginners to elite runners and those that like a challenge! 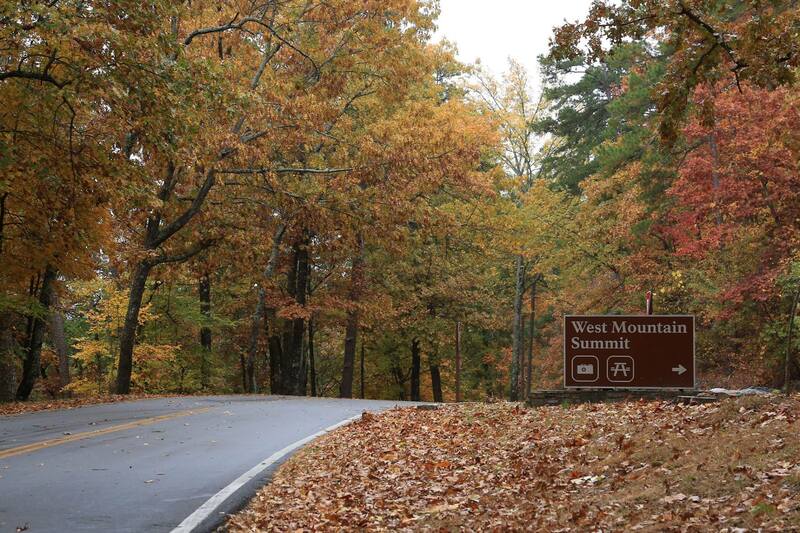 The half marathon is considered a challenge because you get to run West Mountain and to the top of the Summit twice! Are You Up To The Challenge? Difficulty: Easy – uphill for the first 2 miles then downhill for the remaining 11 miles. Starting in the heart of Santa Fe at historic Fort Marcy, the point-to-point course follows the Old Taos Highway, finishing at the magnificent Buffalo Thunder Resort & Casino in the Pueblo of Pojoaque. The USATF-certified course features spectacular views of the Sangra de Cristo and Jemez mountains while dropping into the colorful Rio Grande Valley. 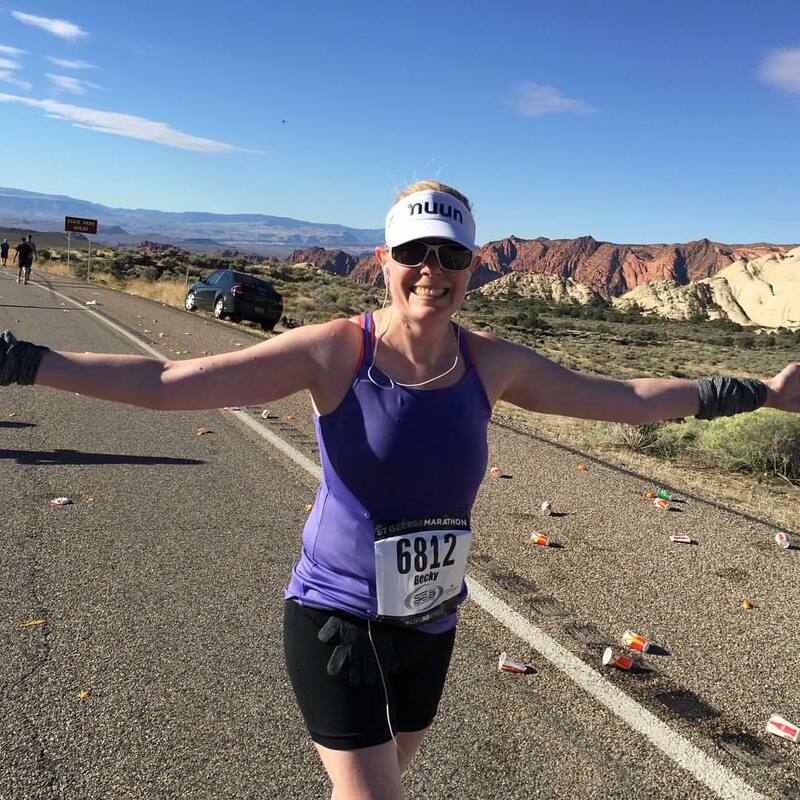 The race boasts African drummers at the start and live music along the course, runners pass by the world-famous Santa Fe Opera, the Tesuque Village Market, Camel Rock and the Tesuque Pueblo on the way to Pojoaque. With a race distance for all running levels you can enjoy a run through remarkable hot air balloons. And if you feel up to the adventure, take a hot air balloon ride after your race. All participants receive two tickets to the InTouch Credit Union Plano Balloon Festival plus parking on race day. The oldest race in Kansas City now in its 41st year. 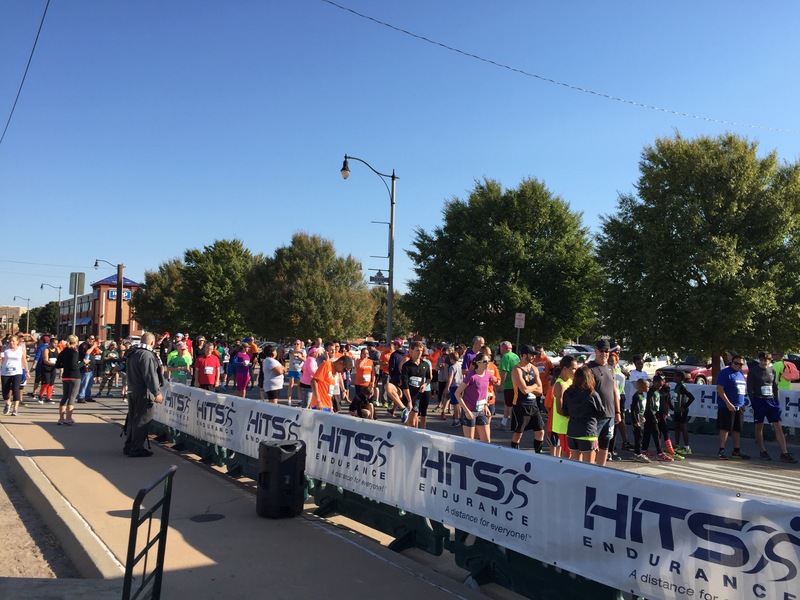 The half marathon covers hilly but scenic terrain from Crown Center to the Plaza and Brookside areas. People enjoy this race because of the challenge of heat, hills, and humidity. A great way to explore a city and race with some speedy folks. So, yeah my spring race training isn’t going so well. I’ve registered for two half marathons this spring and I’m four weeks into my training but it hasn’t been going well. Injury – After incorporating body weight exercises (yoga and pilates) into my training plan and trying a new brand of running shoes, a nagging pain in the ball of my foot and arch has develop. I’ve been having trouble running. and even walking without pain. It feels like my foot is splitting in two. These nagging, soft tissue injuries can be difficult because it’s not always easy to know what caused it, what the exact issue is, or how to treat it. But I’m sticking to the normal routine of icing, massaging, taping, and repeating it daily. But ultimately my mileage has suffered from not being able to run as many miles as I normally would due to pain and just trying to rest and heal my foot. Poor nutrition – I’ve allowed myself to get off track with my nutrition. I began to slip off the wagon back around the holidays, and New Years. I would indulge and tell myself that once the New Year started I would cut out the junk food I’d been eating. But then it was my anniversary and we had to celebrate with an indulgent dinner and dessert. Then it was a long run and I deserved a big breakfast, then it became a convenient option to just grab a quick bite for dinner. Because I’ve been eating a lot of junk food lately, I’ve noticed a lack of energy during my runs. I feel sluggish and my joints feel stiff and swollen. Schedule – I’m not sure if it’s the cross training that I’ve chosen for this round of training, if it’s the cold weather, or that my running routes are routine and boring but I haven’t been able to stick to my training plan very well. Probably another part of the issue is that there has been a major change to my work schedule and I’m just trying to find the rhythm of my new routine and just haven’t gotten there yet. Things aren’t really working out the way I had planned. But that doesn’t mean my spring race season is going to be a wash. I’m really not yet ready to give up on the pace goals I have for the spring. So instead of giving up I’m going to give a plan/schedule mix up a try. My goals are important to me and I’ve come a long way over the past two years. The song on repeat in my head is Otis Redding’s “Dreams to Remember”. I know it’s about something completely different than achieving running goals but I love Otis Redding and that line “I’ve got dreams, dreams to remember” is the one that helps me block out all the static and refocus on the goals I’ve set for myself and how important they are to me. Even though I do have these dreams and goals for my running, I often have to remind myself of the fact that I run for FUN. I don’t get paid to do this. It’s not my full time job. I do it because I love it. Yes, I have goals to that will take a lot of hard work to accomplish but none of them mean a damn if I’m miserable the whole time. Have Fun – Keeping true to the fact that I run for fun, for fitness, and for a stress reliever. It does more harm than good to be hard on myself after I flop a workout, miss a workout, or don’t hit my mileage goal for the week. I’m doing the best I can and so I need to just have fun with it. Running in different locations to get some different scenery and mixing up my workouts a bit more will help with this. 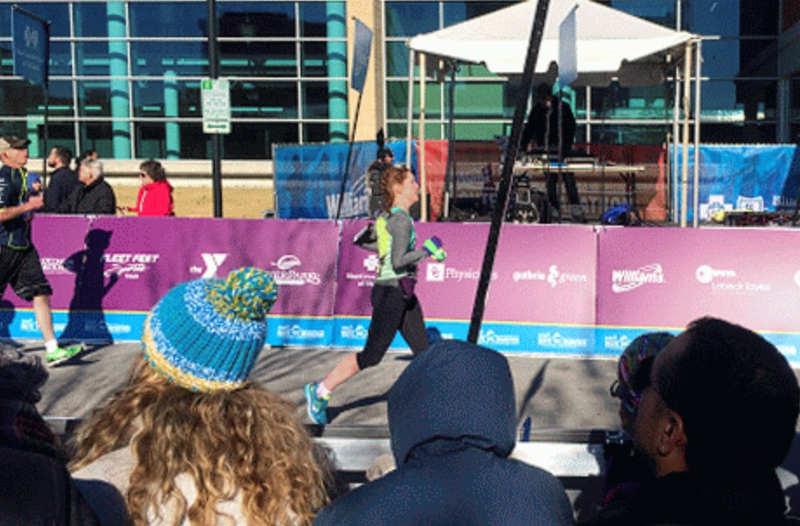 Sub 2:00 Half Marathon – I have 12 minutes to shave off of my total time but I’ll keep chipping away at it with each race I run. 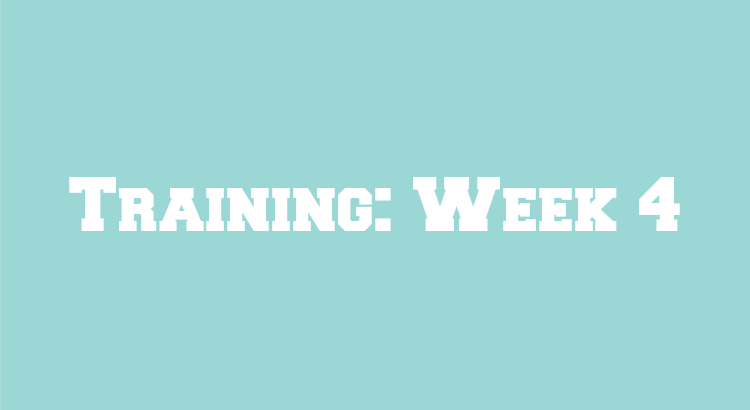 Strength Train – Based on the past four weeks I have found myself really missing weight training. So I”m going to incorporate that back into my training schedule. Plus, strength training can help me get faster and build other muscle groups so to prevent future injuries. Improve Nutrition – Meal planning and prep starts back up again this weekend. I may post more about my food here on the blog to help keep me accountable. Run more with others – I think participating more in group runs will really help me a lot with many of my goals. It will definitely be more fun, it will help me with my speed to run with faster runners and keep me motivated during the winter months that I’m training for the spring half marathons. So it’s basically just an all-around good decision. In another four weeks I hope to have much better news to report on my training after making these changes. School is about to start and cooler temperatures are just around the corner. 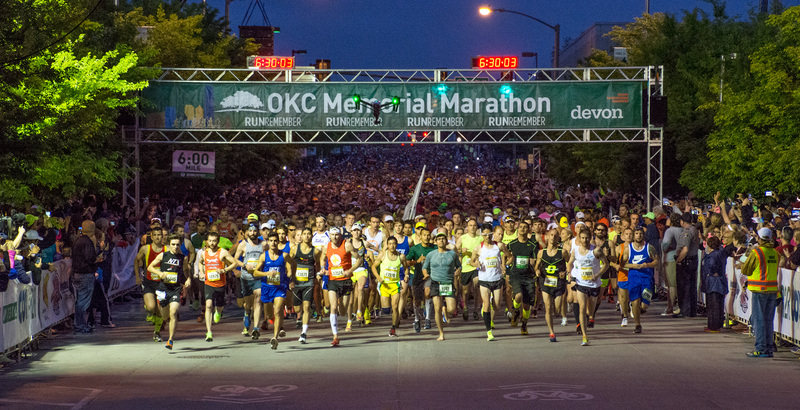 Those anticipated cooler temps make great weather for marathon and half marathon training. The last half marathon I ran was about six years ago. When I was training for that particular race I suffered a few injuries and was afraid I would never be able to run more than a mile without pain again. Part of the reason for my injury was running too much and running without a plan. I didn’t know anything about tempo runs or interval training. I just ran as long as I could and as often as I could. Over the past few years I’ve been reading much more about training plans and focusing on different cross training exercises. I’ve personally seen a substantial benefit to my running by building a better cardiovascular base with cross training such as cycling, rowing, and swimming. 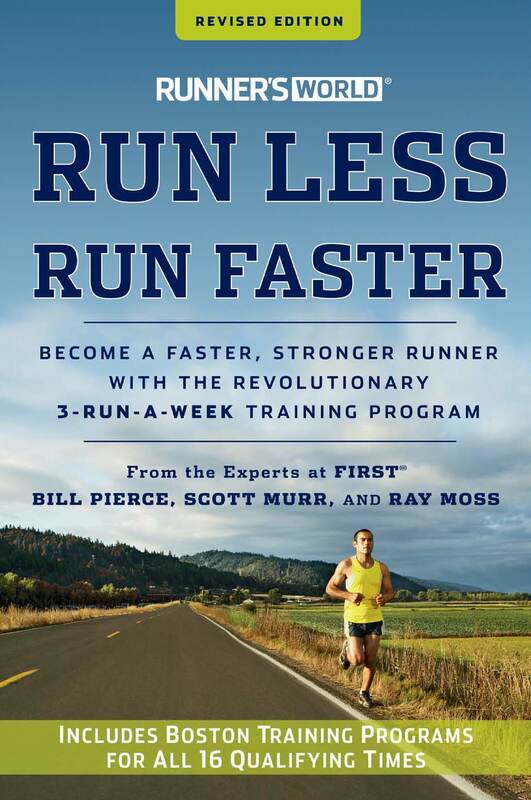 However, the book that has been the most influential to my running and the one I will be using to train for the Route 66 Half Marathon is Run Less Run Faster from Runner’s World. The initial chapters of the book provide a base knowledge of their recommended 3-run-a-week training program. 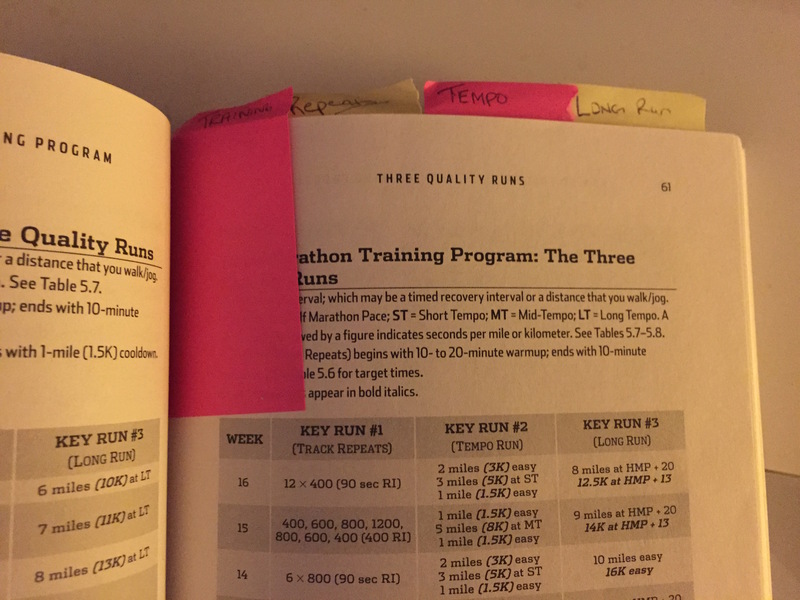 The rest of the book includes training programs for many distances (5K, 10K, 1/2 Marathon, and Marathon) as well as a Boston qualifier plan. The book also includes recommended stretches and strength training. Books about running and training plans themselves will always have supporters and naysayers. It seems that everywhere you turn there is an expert ready to oppose one plan because they have the “best” or “right” training plan. However, as an amateur runner, my humble opinion is that sometimes you have to do the best with what you have. Furthermore, a training plan is just that. A plan. Ultimately, I will listen to my body while training for my next half marathon but will use this book for a guideline to prepare myself for that race. The benefits for me, with regards to this book, are that it’s easy to understand (full disclosure, I didn’t understand interval runs such as “12 x 400 with 400 RI” until I read this book) and even easier to follow. The 3-run-a -week offers plenty of flexibility for me to not overload my demanding work and family schedule. 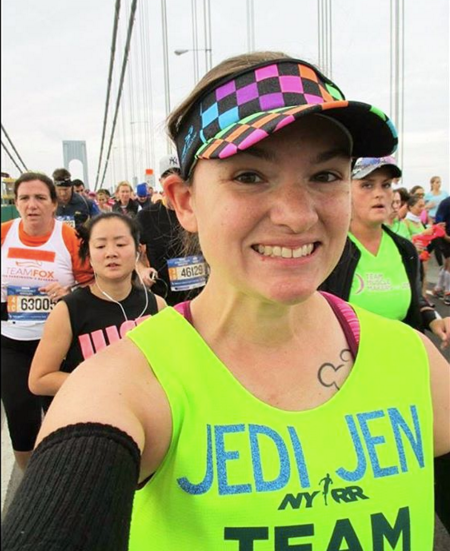 Are you planning to run a fall marathon or half marathon? Which training plan are you using?